We provide patient education and general dental services for all ages. Services include cleanings, Root Planning/Scaling, periodontal maintenance, sealants, bleaching, composite (tooth colored) restorations, crowns, bridges, veneers, implant restoration, root canals, extractions, dentures, partials, occlusal guards, and custom appliances to help alleviate snoring. 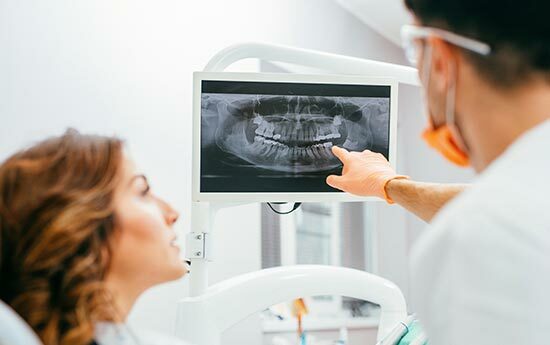 We utilize all digital x-rays which have greater image quality with less radiation, and intra-oral cameras to help you plan the treatment that best suits you. Take advantage of our referral program and introduce us to your family, friends, and acquaintances. Sometimes choices are not clear, let us help you navigate your dental esthetics direction. A common factor among many dental patients is not being happy with their teeth or smile. Cosmetic dentistry is designed to improve the appearance of your teeth while boosting your comfort and confidence. Here are just a couple of options we offer. 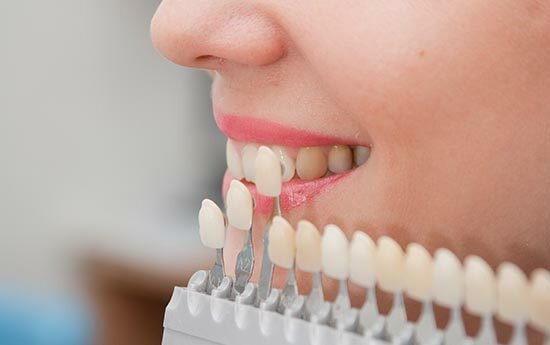 Veneers are a great solution for anterior teeth, are very strong and durable, and can create a beautiful smile. They are basically bonded thin shells or jackets of porcelain or composite that are custom made to fit over teeth providing a natural, attractive look. They can be used to fix chipped, stained, misaligned, worn down, uneven, or abnormally spaced teeth. In addition, there is less tooth structure removed than traditional crowns. We craft custom fit bleach trays in office. This allows you to treat at home and bleach to the desired shade that you are content with. Results will vary depending on several factors. We will be happy to evaluate and discuss those with you chair side at your appointment! We cater to all ages for maintaining your dental health ranging from prophylaxis at regular intervals to quadrant scaling and root planning with follow up maintenance. Our hygienists can accommodate a wide range of needs in office but reserve the right, along with Dr. Petellin's diagnosis, to refer to a specialist should you need more focused care. Again...fear not! We know some great and talented people whom will take good care of you if it's necessary. We make every effort to appoint you as conveniently as possible to work with your schedule. We accept all ages of children and are open for business on all major school holidays and breaks. Dental emergencies are never something we anticipate or are prepared to deal with. Here at Dr. Petellin's, we make every effort to get you seen same day and the problem addressed as quickly as possible. Dental emergencies, if not taken care of promptly, can lead to greater health risks and higher costs in the long run. In depth periodontal therapy and maintenance is offered here at our office in order for you to best maintain a healthy smile. Deep cleanings, re-evaluations, and maintenance appointments are provided by either of our two full-time, certified and licensed dental hygienists. Again, we reserve the right to refer you to a specialist should more focused care be necessary. We exclusively use bonded composite (tooth colored) fillings to restore teeth damaged by cavities. Functionality, lack of sensitivity, and aesthetics are typically returned to normal. We offer full coverage gold or porcelain crowns and bridges that are cemented onto existing teeth or implants. Crowns are most commonly used to cover or "cap" a fractured tooth, to restore teeth with very large or cracked fillings, to protect and seal a tooth with a finished root canal, or to restore over an implant. Bridges are most commonly used to fill a space if you are missing one or more teeth. 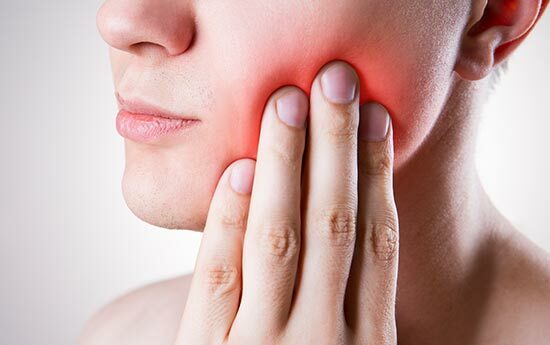 This is a treatment to repair and save a severely damaged or infected/abscessed tooth. The pulp of the tooth is cleaned, disinfected, then sealed. A crown will need to be completed following the root canal to protect your investment. Root canals can be a difficult procedure. Depending on Dr. Petellin's discretion, you may need to be referred to a specialist. Fear not! We know some great and talented people whom will take good care of you if it's necessary.